In today's world where the global economy is shrinking and the people of the world are constantly being plaque by recession, natural disasters, poverty and war the youth have to grapple with all these stressful influences. Due to the recession the job markets have become saturated as recession has hit the global economies throughout the world. The youth now are tasked with becoming involved in entrepreneurial activities to survive in these complex world economies. However entrepreneurship is not an easy endeavour. It is not for the faint hearted either. Entrepreneurism involves drive, perseverance, emotional intelligence and risk taking. A way forward for young people is social entrepreneurship as it offers them very viable opportunities within the backdrop of such a volatile economy. There are various entrepreneurs at different stages of their lives. 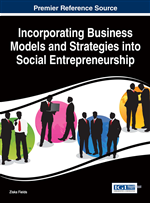 This chapter relates to young entrepreneurs and the social enterprises they drive within society and local communities. There are various definitions on youth. They may vary from country to country. However, the author found that the United nations definition on youth was a wise choice of definition to agree on as it was a very embracive definition of youth in the world that can also be applied to a South African context.. The United Nations, for statistical purposes, defines ‘youth’, as those persons between the ages of 15 and 24years, without prejudice to other definitions by Member States. The Secretary-General first referred to the current definition of youth in 1981 in his report to the General Assembly on International Youth Year (A/36/215, para.8 of the annex) and endorsed it in ensuing reports (A/40/256, para. 19 of the annex). However, in both the reports, the Secretary-General also recognized that, apart from that statistical definition, the meaning of the term ‘youth’ varies in different societies around the world. When the General Assembly, by its resolution 50/81 in 1995, adopted the World Programme of Action for Youth to the Year 2000 and beyond, it reiterated that the United Nations defined youth as the age cohort of 15-24. The Assembly resolution A/RES/56/117 in 2001, the Commission for Social Development resolution E/2007/26 & E/CN.5/2007/8 in 2007 and the General Assembly resolution A/RES/62/126 in 2008 also reinforce the same age-group for youth, (UNDASA, 2014: 1-20). After defining youth the discussion bellow would revolve around different theorists views on young entrepreneurs. An interesting argument put forward by Zimmerer and Scarboroug (2008: 19) argue that young people are setting the pace in starting businesses. The root course these authors cite for this is that young people in America are disenchanted with their prospects in corporate America and are willing to take a chance at controlling their own destinies and are thus choosing entrepreneurship as their primary career. This is not new to America’s young people only, it is in the rest of the world as well. Young people value independence above all else and want to be in charge of their own destinies. Entrepreneurship is the catalyst that can give them this independence and ownership over their own decision making.